Over the course of the spring and summer, we have seen a number of anti-gun and anti-NRA measures brought before legislative bodies across the state. NMSSA has stepped up to speak out against them, while we have not been able to stop all of them, if we don’t show up and speak out, our chances of defeating the proposals go to almost zero. I cannot emphasize enough the importance of showing up and speaking out for our rights as New Mexicans. In addition to the newsletter, we will be sending legislative alerts to you, our members, to keep you informed on the fight for our rights. I urge you to take action, write a letter to your legislator, call their office, and show up to speak out. Thank you for your dedication to defending out Second-Amendment rights in New Mexico. 9 Percent of Colorado residents have a Colorado Concealed Carry License, and many of those responsibly armed citizens are teachers, school faculty members, and school administrators. Allowing school employees to be armed on campus has been a hot topic over the last few years, and seems to flare up after each school shooting. This month we had the opportunity to interview Laura Carno of FASTER Colorado, a training program that puts teachers, faculty members, and school administrators through 28 hours of training on their path to becoming armed on campus. We’ve seen the discussion and arguments locally in New Mexico, and many of the concerns that have been raised in our state have been resolved in Colorado. Students Targeting Armed Teacher: The only individuals who know which teachers are armed are the individual teachers themselves, and those other teachers within that school that are part of the armed team. This eliminates the risk of teachers being targeted. Overall, the FASTER program, both in Ohio and in Colorado, is a well put together program and addresses the majority of concerns that most people may have. Included in the 28 hours of training is emergency first aid and trauma response, skills critical to saving lives in an active shooter scenario. FASTER Colorado relies on professional firearms instructors, including SWAT officers. About the Author: Jeremy Gill is the Vice President of New Mexico Shooting Sports Association, the Training Coordinator and Lead Instructor of Practical Defense Training, LLC, and the Co-Host, Editor, and Producer of After Action Project, a podcast that brings you into the student’s seat of a firearms training course. For more information please visit: abqconcealedcarry.com or afteractionproject.com. BELLEVUE, WA – The May 25th shooting incident at a popular restaurant in Oklahoma City, where a “good guy with a gun” intervened by fatally shooting an apparent madman affirms the importance of an armed citizenry, says the Second Amendment Foundation. Reports say four people were injured during the incident, but the only fatality was the unidentified perpetrator. He was shot dead in the parking lot outside of Louie’s Grill & Bar. So far, authorities have been unable to determine a motive. “Millions of law-abiding American citizens carry firearms for personal protection,” Gottlieb noted, “and incidents like this underscore the importance of defending their right to bear arms, in defense of themselves and their friends, family and even innocent strangers. “This is hardly the first time an armed private citizen has intervened in a dangerous situation to stop a violent criminal or madman, and preventing further bloodshed,” he added. “After every such incident, the silence from anti-gunners is deafening. Our second NSCA match for August is next Saturday, the 18th. This is our annual Westerfeld Memorial match. Super Sporting, Sub Gauge and Registered 5 Stand will be in the afternoon after the course has been reset, approximately 1:00. All NSCA classes are welcome including those in Hunter Class. The 100 target sporting clay's course is $42.00. Junior price is $35.00. The 50 target Super Sporting, Sub Gauge and 5 Stand are $22.00 each. Lunch is available for $6.00, sandwich, chips and drink. The main course will be closed Friday 8/17/18, for course set up, but the 5 stand will be open if you want to practice. This will be last registered match before our state shoot. The range will be closed starting September 10th for STATE MATCH course set up. Also this week, Gabby Giffords and her national gun control organization rallied in support of Democratic candidate for governor, Michelle Lujan Grisham. These events clearly show how critical it is that you elect pro-Second Amendment candidates this fall. Information on candidate ratings and endorsements will be available to NRA members at www.nrapvf.org in September. Former U.S. Rep. Gabby Giffords – who survived an assassination attempt in 2011 – joined gubernatorial candidate Michelle Lujan Grisham on Wednesday to push for stiffer gun restrictions in New Mexico. Lujan Grisham, a Democratic congresswoman from Albuquerque, said that as governor, she would support a legislative package to expand background checks to all gun purchases and prohibit domestic abusers from buying firearms. She also supports the creation of an “extreme risk protection order” – a legal process intended to allow family members or law enforcement to seek temporary court orders to confiscate firearms from someone they fear may hurt themselves or others. A crowd of supporters jammed into Lujan Grisham’s campaign headquarters in Downtown Albuquerque to hear Giffords and others speak. Giffords, who represented southern Arizona, was shot in the head seven years ago during a meeting with constituents. She endorsed Lujan Grisham’s gubernatorial bid Wednesday. Joining them on stage were Giffords’ husband, retired astronaut Mark Kelly, and Miranda Lovato, a New Mexico State University graduate forced to run when a gunman opened fire at a concert in Las Vegas, Nev.
Lujan Grisham said that if elected, she would aim for bipartisan support for a package of gun legislation in the 2019 session. “New Mexico does not have the kind of gun violence reforms and safety initiatives that we need,” she said. The Roundhouse is often a skeptical environmental for firearm restrictions. Republicans – and some Democrats, especially from rural areas – argue that criminals aren’t going to let a background check, or similar law, stop them. A campaign spokesman for U.S. Rep. Steve Pearce, the Republican candidate for governor, said Lujan Grisham supports “extreme policies,” such as a ban on AR-15-style semiautomatic rifles. Few restrictions on gun ownership have made it through the Legislature in recent years. Democrats hold majorities in both chambers. One bill that did make it through – a proposal to require domestic violence offenders to surrender their firearms, at least temporarily – was vetoed by Republican Gov. Susana Martinez in 2017. NMSSA MEMBERS: PLEASE INFORM ALL OF YOUR 2ND AMENDMENT SUPPORTER FRIENDS, ESPECIALLY IF THEY VOTE DEMOCRAT. 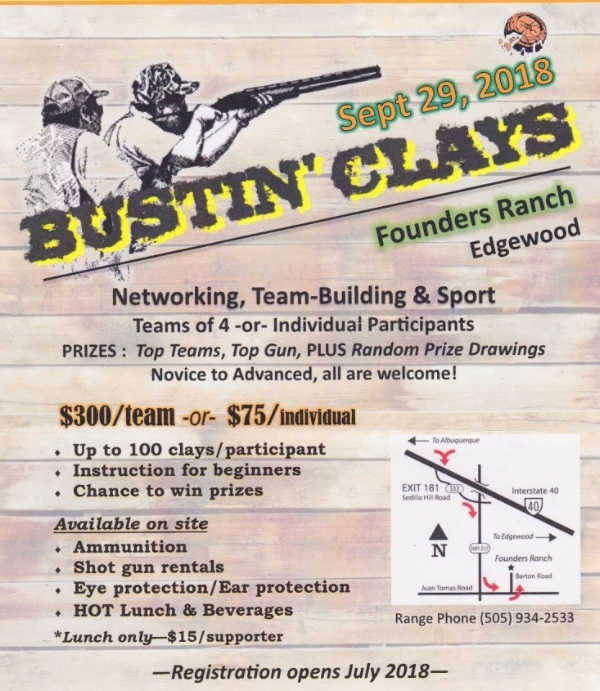 We will be shooting USPSA matches with a classifier twice a month at Founders Ranch in Edgewood (see directions in next article below). The schedule will be 2nd and 4th Saturday starting 10AM ! This is in addition to the 1st and 3rd Tuesday evening matches at Mags indoor shooting range in Moriarty. Mark your calendars! 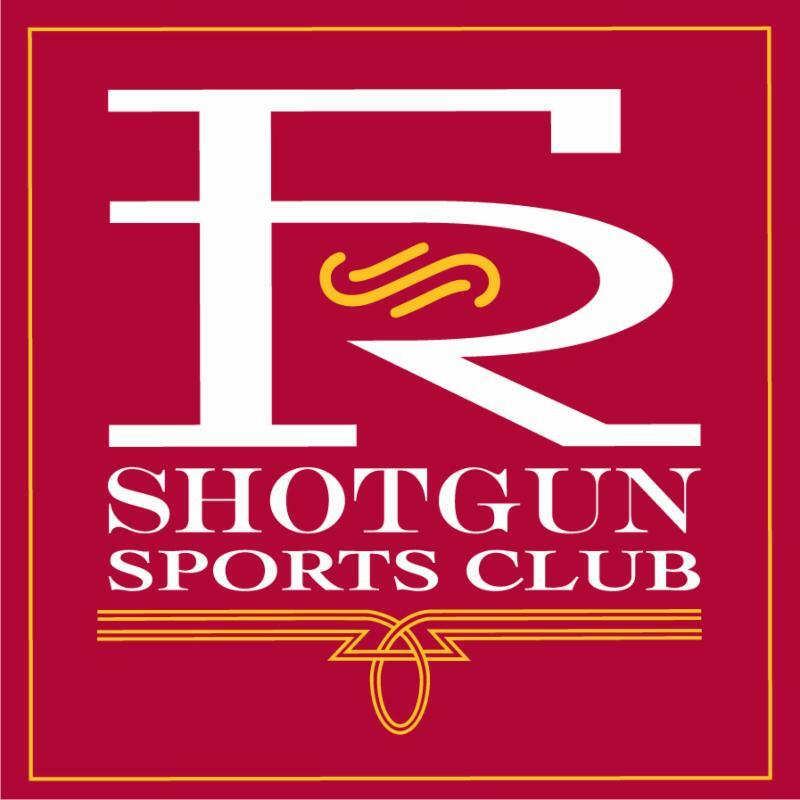 We hold a monthly 100 clay shoot on the first Saturday of every month. The match is open to all, including non-NSCA members (Hunter Class). The match fee is $40.00 including tax and NSCA fees. From Albuquerque take I-40 east to Exit 181 (Sedillo). Turn left on NM 333 (Old Rt 66) go 1.4 miles to NM 217. Turn Right. Go 4.5 miles to Juan Tomas. Turn Left. Go 1 mile to Barton Road. Turn Left. Go 3/4 mile to gate on right. These fun matches are held on the 2nd and 4th Saturdays starting at 0900. Open to non-members but call Ron 293-3707 in advance to ensure someone meets you at the gate. Action Pistol is a fun way to improve your Defensive Pistol skills. Everyone is friendly and helpful. Unsure? Go and watch a match first. 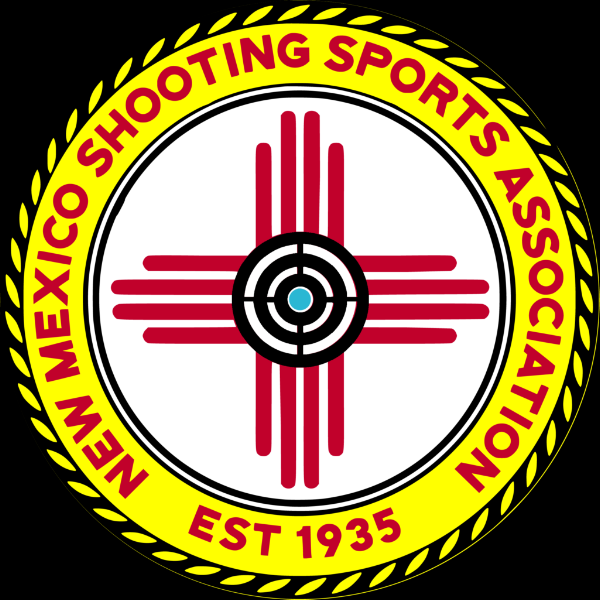 Copyright © 2018 New Mexico Shooting Sports Association, All rights reserved.